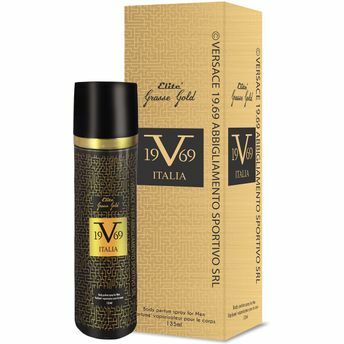 Versace 19.69 Italia Abbigliamento Sportivo SRL came out with this very innovative perfume ELITE Grasse Gold. It has very strong fragrance that lingers around sensuously yet delicately awaking your senses. A luxurious perfume from Grasse-France has been derived to make this product unique and amazing. It has a strong and masculine fragrance. It is light, energizing and up-lifting.